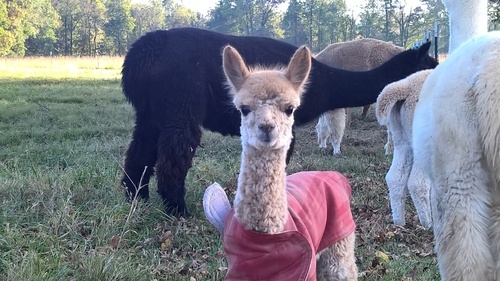 This is SN Ranch Peruvian Temperance "Temp". She is such a mellow Cali girl! So sweet and calm, never a problem to deal with. 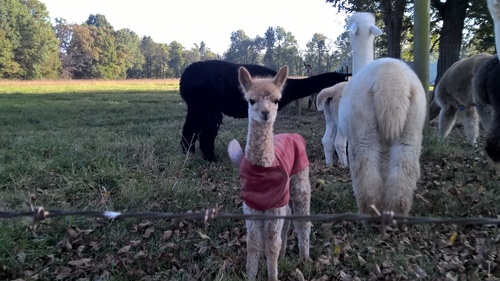 We have one of her previous cria on the farm, Crane Creek's Golden Slumber, who is just as evenly tempered and calm. 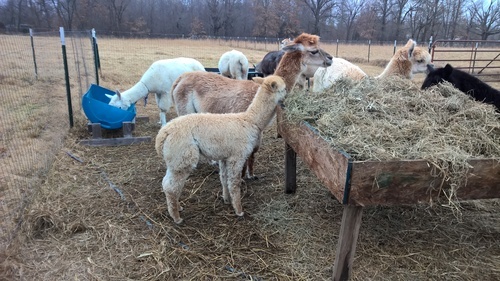 She delivered a handsome male cria on 10/25/16, his name is SM October Sky. He was on his feet and nursing in no time. A great testament to his health and heritage. 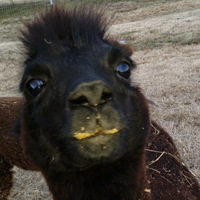 This little guy has beautiful beige popcorn fleece. He is curious and friendly.